When I am not designing or blogging you can always find me in the kitchen. 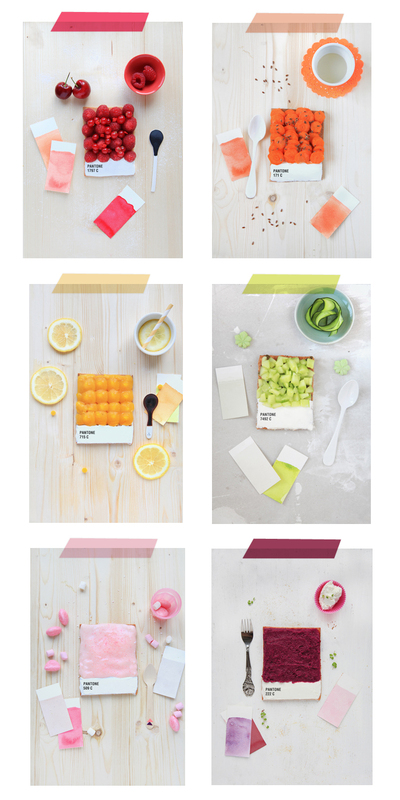 So when I came across these Pantone Tarts by Griottes, Emilie, I knew I just had to share these. The styling is perfection and anything that combines color and sugar wins my heart over. Oh and she has a killer blog you CAN NOT miss! Serious it is gorgeous! Oh perfection! You seriously have a knack for scouting out the sweet “finds” of the internet. These are amazing, aren’t they? So happiness inducing with the bright cheery colours, and totally droolworthy on the food front. Yum! xo.